Promote hair growth and regain hair density with the Schwarzkopf [3D]MENSION Activating Shampoo, an energising formulation that promotes hair vitality. This formulation works on the hair, the scalp and the roots to increase the production of hair growth factors and deliver nutrients to the hair follicle. The hair’s density and health are restored, and it looks fuller overall. Apply directly to the hair and lather up. Rinse well. 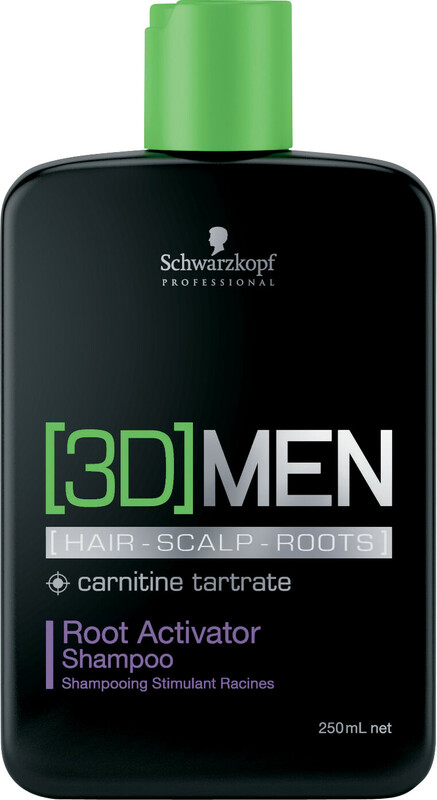 Schwarzkopf Professional [3D]MEN Root Activator Shampoo is rated 5.0 out of 5 by 1.